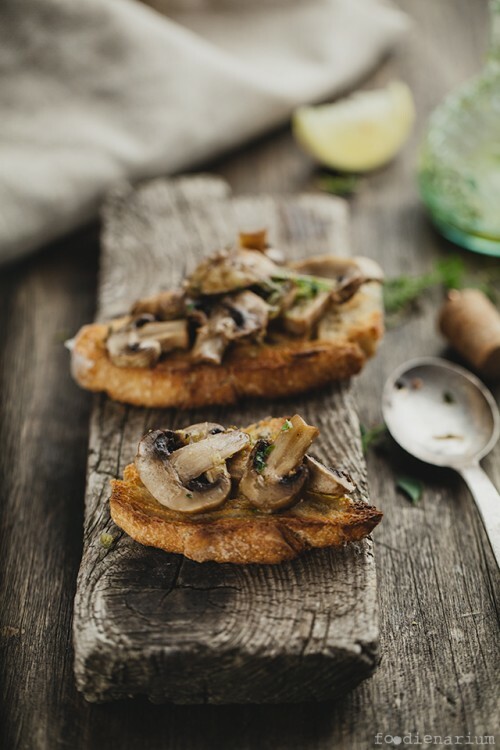 Mushrooms are a great addition to many dishes, but they can also become a great garnish on their own. My wife just loves them, so we try to cook them periodically to make her happy. A cool way to save their taste in cooking and make it even more interesting is to bake them in the oven with lemon and thyme. How to do this will be discussed below. Heat the oven up to 200C (400F) (no fan). Remove the zest from the lemon and mix it with thyme and olive oil. Then wash the mushrooms, put on a tray in one row, sprinkle with half of the mix obtained in the previous step, salt, pepper and put in the oven. Bake for 10 minutes. Next, open the oven and sprinkle with grated Parmesan cheese. Bake for another 5 minutes or until the cheese is brown. Take out the mushrooms from the oven and sprinkle with lemon juice and remaining mix of spices and oil. Serve either as a garnish, or on a fresh, crispy toast.